Suffocation or drowning accidents may result in deprivation of oxygen. How bad any resulting brain injury will be depends on how severe the oxygen deprivation was. While some people recover with almost no consequences, others may need years of rehabilitation. When the brain is completely oxygen-starved due to a sudden injury, an anoxic brain injury occurs. When the brain gets less oxygen than necessary, but the deprivation is not complete, it is a hypoxic injury. Two types of accidents that may result in these injuries are suffocation and drowning. If you suffer injuries in a job-related suffocation or drowning accident, the experienced Boston workers’ compensation lawyers at Pulgini & Norton may be able to help you recover workers' compensation benefits. Long-term effects of the oxygen deprivation associated with suffocation or drowning include mood or personality changes, damage to brain regions that coordinate important functions involving speech, memory, or motor skills, problems with impulse control, aggression, or compulsions, mental illness symptoms like depression, dementia-like symptoms, and chronic pain or incorrect responses to pain signals. If the suffocation or drowning that caused these injuries took place on the job or for job-related reasons, you may be eligible for workers' compensation benefits. You may also have a premises liability claim or another negligence claim against a third-party owner or manufacturer if the accident took place on someone else's property or because of a defective product. Unlike with those claims, you may get workers' compensation benefits even if you were partially or fully to blame and without proving someone else's fault. For example, if you were suffocated in a trench collapse and suffered brain injuries because you did not use a protection system that your employer gave you, you are still entitled to workers' compensation benefits. Benefits available through your employer's workers' compensation insurance include medical costs and disability-based wage loss replacement. The amount that you may receive for a disability depends on how bad the disability is. If you are totally and permanently disabled by suffocation or drowning, such that you can never work again, you may receive two-thirds of your average weekly wage for the rest of your life. If you are partially disabled, you may recover 60% of the difference between your average weekly wage and what you are able to earn after the injury. If it is temporary, you may get these benefits for up to five years. If your spouse died from suffocation or drowning on the job, you may get weekly benefits that are equal to two-thirds of your spouse's average weekly wage, up to a set maximum, as long as you stay dependent and do not get remarried. For many workers' spouses, these benefits are a tremendous help after the untimely death of their loved one. You may also recover burial expenses up to $4,000. If you do remarry but have eligible dependent children, they may receive $60 a week each. The total weekly amount paid to all of the kids may not be more than what you received. 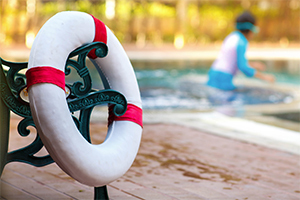 Suffocation and drowning accidents often result in catastrophic, disabling brain injuries or deaths. If you are hurt in a job-related suffocation or drowning accident, you may be entitled to workers' compensation benefits. The Boston attorneys at Pulgini & Norton may be able to provide legal advice and representation. We help injured employees in Andover, Quincy, and Somerville, among other Massachusetts communities. For a consultation with a job injury lawyer, contact us online or call 781-843-2200.